On “Laguz” enduring Belgian underground pillar Ancient Rites makes its long awaited return after a near decade of uncertainty, lineup instability and general malaise. The much-anticipated follow-up to 2006’s “Rubicon” is the first for its new label home Massacre Records, and sees the band trimmed down to a quartet. As always the release of a new Ancient Rites record is a momentous occasion. “Laguz”, among its other merits, is by far the best produced effort in Ancient Rites’ modest but commendable catalog. “Laguz” is interesting in how it recalls the band’s trans-European phase, even though its line-up has slimmed considerably since. Domingo Smets, who initially started out as the band’s keyboardist, has moved over from bass guitar to lead guitar, replacing original guitarist Bart Vandereycken who took his leave for the second time in the interim. Much like on “Fatherland” producer Oliver Philipps arranged and recorded all orchestral - and keyboard parts substituting for the departed Davy Wouters. 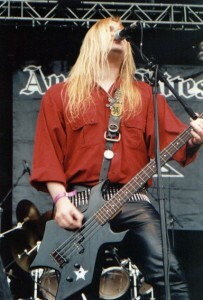 Gunther Theys plays the bass guitar again for the first time since 2001’s “Dim Carcosa”. As far as subject matter is concerned there’s a far greater focus on Roman antiquity, and history in comparison to the preceding albums. As with its transitional records additional female vocals make their return, this time contributed by Evy Verbruggen. ‘Golden Path to Samarkand’ refers to Samarkand, the Uzbek city known for its central position on the Silk Road trade route between China and the West. ‘Carthago Delende Est’ chronicles the Punic Wars against Carthage during the 2nd Century BC, and the song title was a popular Latin oratorical phrase. ‘Under the Sign of Laguz’ takes its name from the Proto-Germanic rune for water. The intro to ‘Von Gott Entfernt (Bij nacht en ontij)’ nearly sounds as a piece from a Greg Edmonson soundtrack to an “Uncharted” game. ‘Legio V Alandae (Fifth Lark Legion)’ details the Gallica, a legion of the Roman Imperial Army founded in 48 BC by Caius Julius Caesar. The legion was most famous for fighting the Gallic Wars, and considered one of its bravest. As in the past the album is multi-lingual with ‘Frankenland’ including passages in the band’s native Flemish (Dutch). That “Laguz” builds upon the formula of what was started on “Fatherland” and its two successors was expected. Ancient Rites has long since abandoned its primal death/black metal roots. Some of the more opulent keyboard segments on the album border on Bal-Sagoth territory, as does Gunther Theys’ vocal work. At points “Laguz” sounds like a classic Turilli/Staropoli era Rhapsody album through its usage of triumphant melodies, albeit it in a more grounded, historical context instead of an overblown and belabored fantasy one. A point of contention is the change in vocals. Theys used to alternate between rasps, narration, whispers and the occasional grunt. On “Laguz” only the whispers and narration seems to remain. It’s a puzzling choice considering how creative this band once was with its wide array of vocal styles. As per modern tradition Ancient Rites recorded at Spacelab Studio, Germany with producers/engineers Oliver Philipps and Christian Moos. Once again “Laguz” was mastered at Eroc's Mastering Ranch in Breckerfeld, Germany with Joachim Heinz Ehrig manning the console. A notable improvement is the fact that the drums don’t sound sterile and flat for the first time. 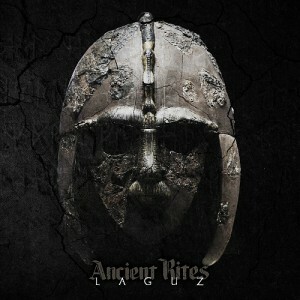 “Laguz” is without a doubt the best produced Ancient Rites album so far. A lot of time was spent on vocal production and as a result Gunther Theys never sounded better. Interestingly, the digital artwork shows a striking similarity to that of the 1997 Unleashed album “Warrior”. 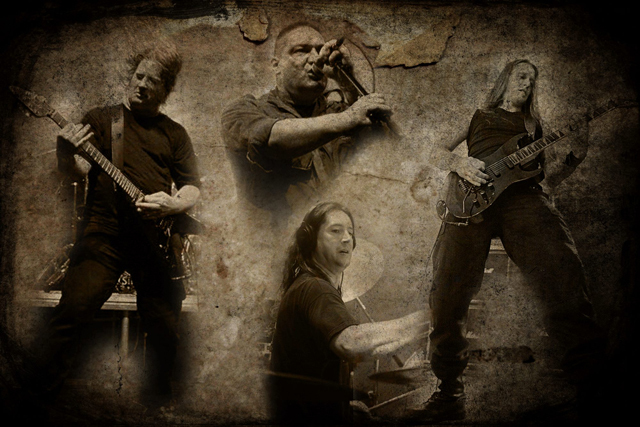 In many ways is “Laguz” the summit of the stylistic evolution that Ancient Rites embarked on almost two decades prior with the “Fatherland” album. 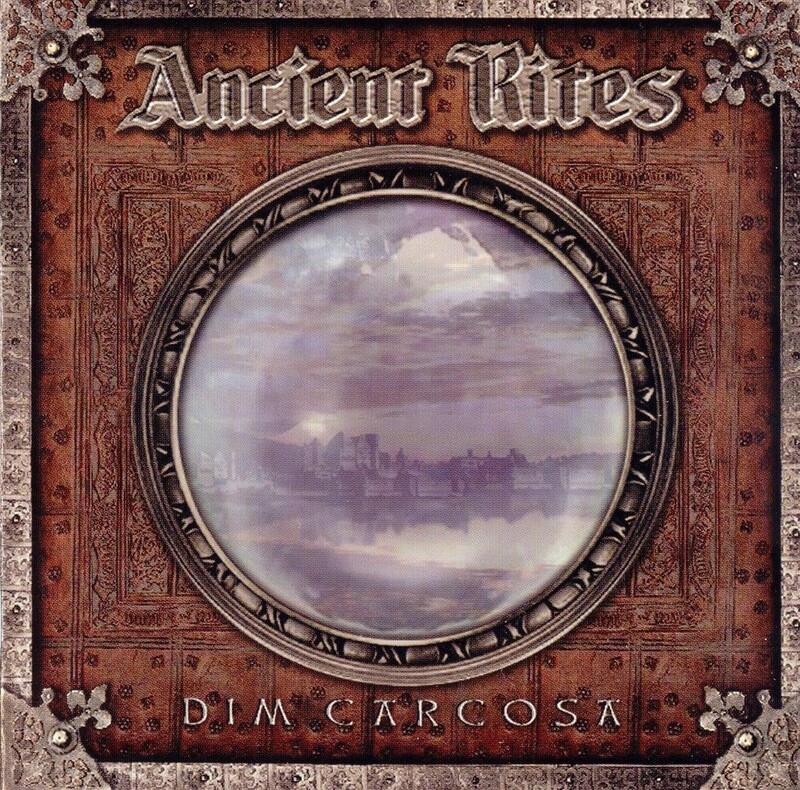 Almost a decade after its last studio outing Ancient Rites continues to prove why they are the finest and most versatile of the European symfo metal top. “Laguz” is the most pristine produced of all Ancient Rites efforts, and one on which all of the band’s different facets fall into place. Much like fellow Belgian unit Insanity Reigns Supreme, Ancient Rites never does concessions to its artistic vision – and they stay true to the old adage of quality over quantity. That “Laguz” wasn’t widely picked up seems only logical considering its protracted conception. Despite its long history and commendable catalog Ancient Rites remains one of Belgium’s unsung heroes.